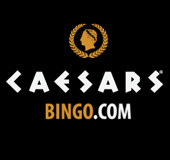 Gamesys Bingo sites | Check out the best sites now! Founded in 2001, Gamesys has established itself as a top international gaming provider. With a ‘passion to innovate, thrill, and surprise’, Gamesys aims to move the boundaries of entertainment to create unique gaming experiences. Gamesys software is featured on a range of popular and recognizable bingo brands, which are linked to a wider Gamesys Group bingo network. This means there many unique, bespoke and entertaining Gamesys brands on the market, waiting for you to discover. So we can’t wait to direct you to the best Gamesys Bingo sites. The brand manages to stand out from the rest, with a strong focus on innovation, cutting-edge technology, social gaming and providing creative, thrilling and dynamic bingo experiences. This is rare in the generic world of bingo, as many networks offer trademarked bingo sites with standard features, promotions and games. The Gamesys brand is home to over 250 pulse-racing bingo, slot games, chat games as well as social games. Thanks to an award-winning team of designers, each creative game has been crafted with cutting-edge technology, thrilling feature and stunning graphics. Some of the Gamesys ‘feel good’ bingo rooms include themed 75 Ball and 90 Ball rooms like Bejeweled 90 and Speed Bingo, as well as Daily Free Games. There are also some exclusive bingo variants that are not available on other sites, like Take me Out Bingo, Game Show Bingo, Bingo Royale and Super Snap with fabulous chat hosts. Some of the bingo rooms are linked to the Gamesys Network to provide huge progressive jackpots. There are quite a few exclusive Gamesys powered slots. Some popular and exclusive slots include Double Bubble, Wonderland, Peggle, Deal or No Deal, Wonder Woman Secret's of the Phoenix, Tycoon's Treasure and Valley of the Kings. Gamesys sites also tend to host popular gaming hits like Fluffy Favourites and Starburst from other top software providers like Net Ent, WMS and IGT. With the advent of new innovative mobile technology, most games are also accessible on mobile, tablets, IOS, and android devices. Gamesys powered sites usually offer a distinctive set of bonuses and promotions. 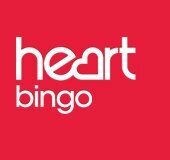 There are a few no deposit Gamesys bingo sites, where you can sign up and spin for Free. Most Gamesys bingo sites offer generous deposit welcome bonuses, which can be wagered on bingo and slots games. 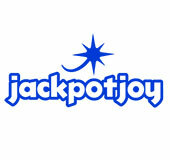 You can also expect unique promotions, great loyalty and VIP programmes and impressive jackpots. Many Gamesys sites offer their own customized promotions like Refer a Friend, Weekly cashback, Mobile Mad Weekends, Daily Free Games, Weekly Prize Picks, Free spins, bingo and slots tournaments and themed jackpots.